Put the "social" back into social media! IceBr8kr is the first of its kind, a social media maverick! Find new friends within 100 yards of yourself then decide if you want to "Break The Ice" with them. See someone out in the real world you'd like to meet ... “Break The Ice” with the app then decide if you want to meet in person. • Be in contact with real people out in the real world meeting that new someone you always wondered about. Find out who that intriguing person is standing in front of you right now without fear of embarrassment!! • No need to have friends on the app to reap the benefits of IceBr8kr. Sign up and start IceBr8king right away! • Meet new people within 100 yards of yourself that you’d otherwise never approach. Or explore the map and move to new locations to engage more users. • You control who you want to meet and which conversations you respond to or ignore. • "Break the Ice" while you control when and where your location is displayed. • Didn’t get to finish that conversation with that new friend? 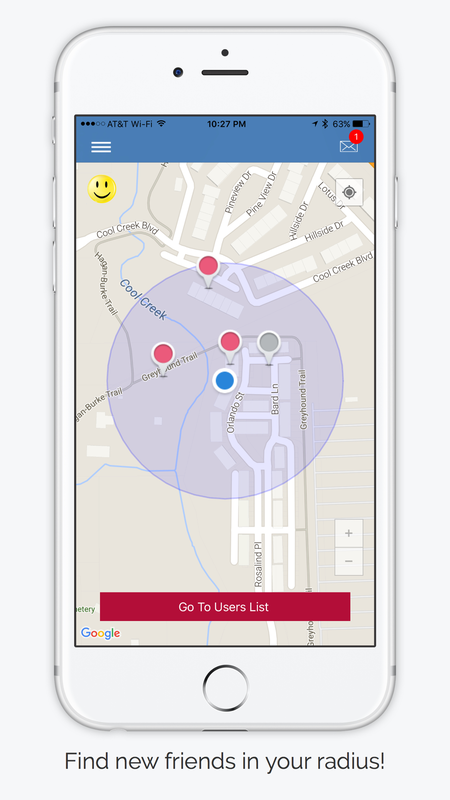 Don’t worry you’ll be notified if you are ever in the same shared 100 yard radius again! • Once you leave their 100 yard radius or they leave yours, you won’t be able to see or talk to them so don’t wait too long to BREAK THAT ICE! Help us start this "social" revolution! New Friendships are Waiting for YOU!